Home News 300 Cheaper eVisa on Easter Day! Did you feel tired to make Visa for traveling abroad? 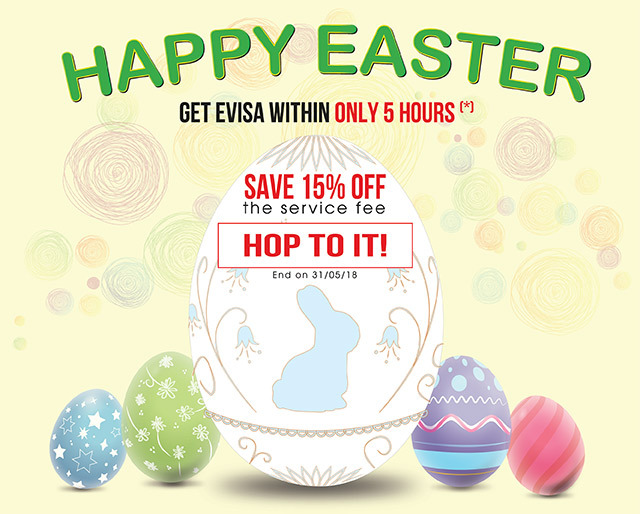 Go travel on Easter Day without struggling with lengthy Visa process. You can have Visa as soon as you want with our Visa making service, especially for rush cases. From 01/04 to 31/05, first 300 customers apply for Visa + adding code “EASTERTRIP” will have Discount 15%. Wish you have a wonderful Easter trip! (*) For the super urgent service.